Tips for a smooth toddler-bed transition. Toddlers— and their milestones— move at the speed of light. Before you know it, your child is speaking in sentences, learning to run and jump, and building teetering block towers. However, one of the biggest milestones is also the most worrisome: the transition from a crib to a bed. “We were worried about lots of up-and-down traffic at night and in the morning,” confesses Cheryl Oliver, mom to 14-year-old Rianne and 5-year-old Gabriella. Put your worries to the side and smooth the way for a great bedtime evolution with these suggestions. When parents are anxious about moving a toddler to a bed, they can unwittingly pass on their worries to their children, says psychologist and mom Dr. Elizabeth Lombardo, Ph.D., author of A Happy You: Your Ultimate Prescription for Happiness (Morgan James Publishing). “Children are like sponges, and they pick up on our fears and anxieties,” she says. Try not to transmit your nerves to your tot. Instead, talk about the new bed as an exciting step, not a worrisome obligation. Toddlers are notoriously hungry for more independence and personal power, so give them some control over the change. Allow tots to be part of the process. “We asked Jack to be a part of setting up his new big boy room. He picked out his bedding— Thomas the Tank Engine, of course— and he got to pick out special pajamas for his first night,” Fisher says. Help your child prepare for the change by creating a countdown. One to two weeks before making the switch, tell your little one that he’ll be moving to a special new bed. Then, cross off the days on the calendar and talk excitedly about the big day that awaits. But don’t set the date too far in advance. A buildup of several weeks could make your child anxious instead of eager. If your child leaves his new bed in the middle of the night— or if you’re worried that he will— install a baby gate at his bedroom door. When you hear him get up, return him to his bed promptly, every time. Once he realizes that he won’t be rewarded with parental interaction or be able to get out of his room, he’ll be more likely to stay in his bed all night long. Maintain positive associations with the new bed. Avoid using the bed as a place for punishment or a time out. Lombardo believes it’s better and more effective to reward positive behavior. Sticker charts, special outings or a visit to the child’s favorite restaurant are good options. “When Jack slept all night in his new bed, we made him a special breakfast the next day to acknowledge his accomplishment!” Fisher adds. During naptime, opportunistic toddlers may capitalize on their newfound freedom by refusing to stay in bed. 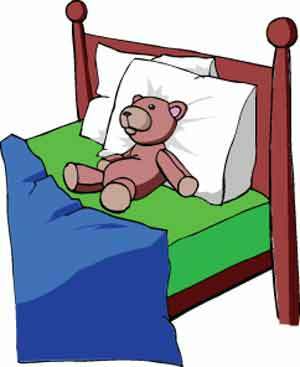 “Often, kids do fine with their new bed at bedtime— naps present a bigger issue,” Lombardo says. But most 2 year olds still need a daily siesta. Enforce your child’s midday break by creating a consistent naptime ritual and keeping the bedroom dark and quiet during this period. Whatever you do, “don’t give in and allow your child to go back to the crib,” Lombardo suggests. Make this transition an exciting milestone for your little one, and the crib will soon be a thing of the past. On to the next adventure! Malia Jacobson is a nationally published sleep journalist, columnist and mom. Visit www.thewellrestedfamily.com to read her blogs about sleep and parenting.